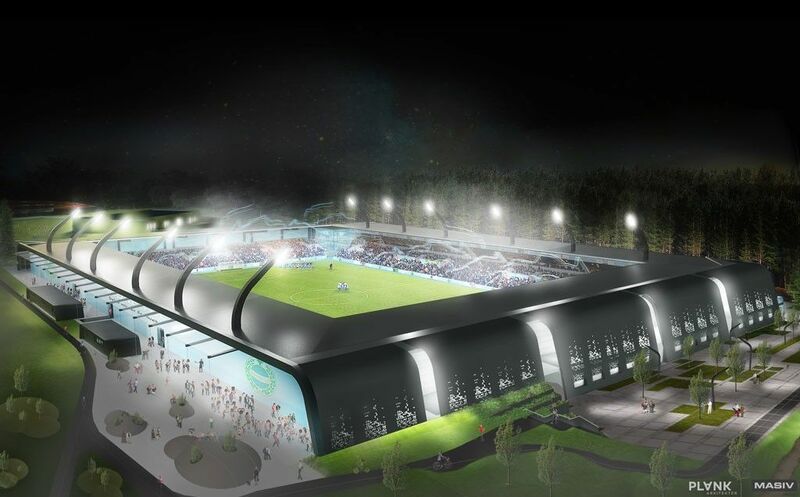 Planned since 2012, this new stadium in Sandnes (south of Stavanger) would be built just north of the existing municipal stadium. 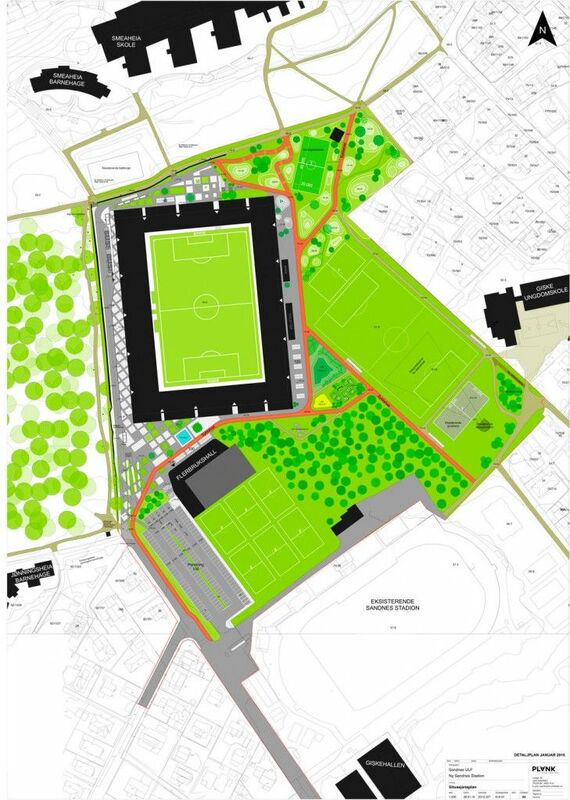 Contrary to the current one, it would be football-specific and would not be financed by the municipality itself. 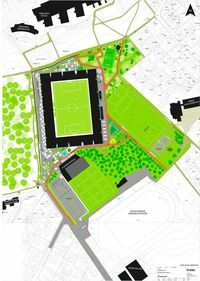 With budget at roughly NOK 150 million ($18m / €16m), Sandnes Ulf and Masiv Bygg (construction company) have to rely on private funding. 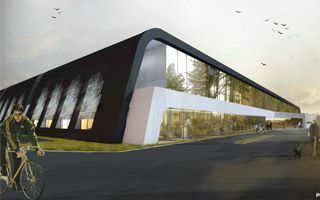 Parts are to be collected through sponsor packages starting at NOK 175,000, while a large chunk could be generated through securing an educational tenant, school or kindergarten. 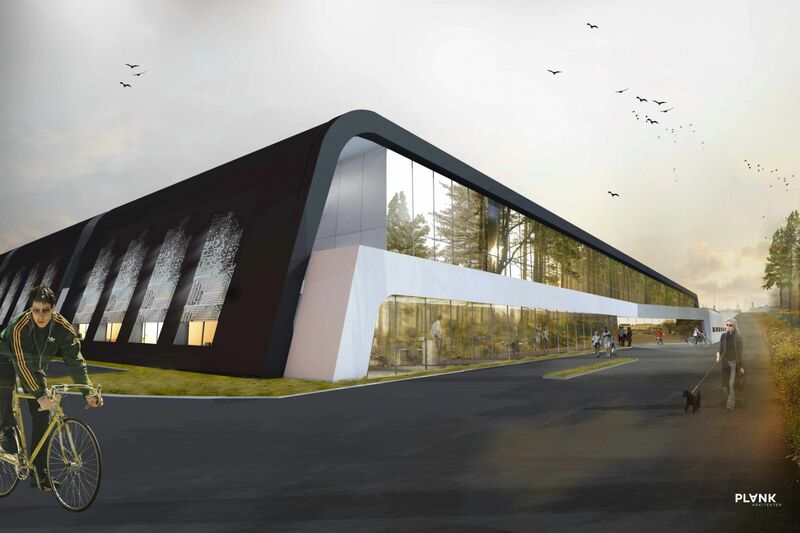 There is some 2,000 square meters secured for educational use. 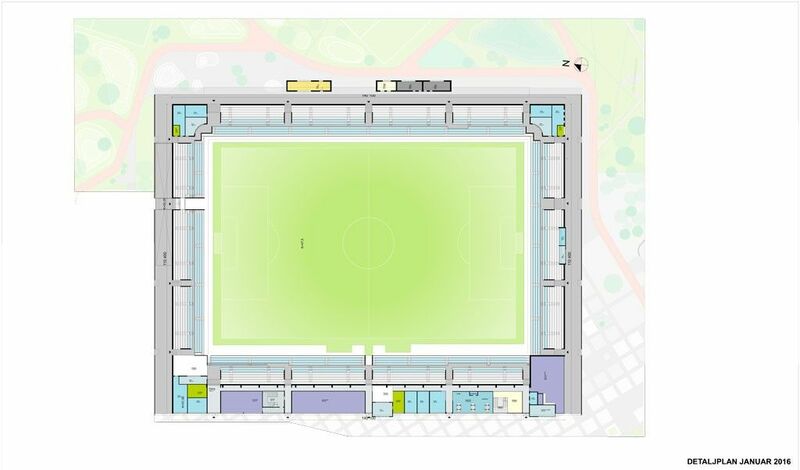 Overall floor space of the stadium should be around 4,500 sqm with potential to increase by 3,800 more. 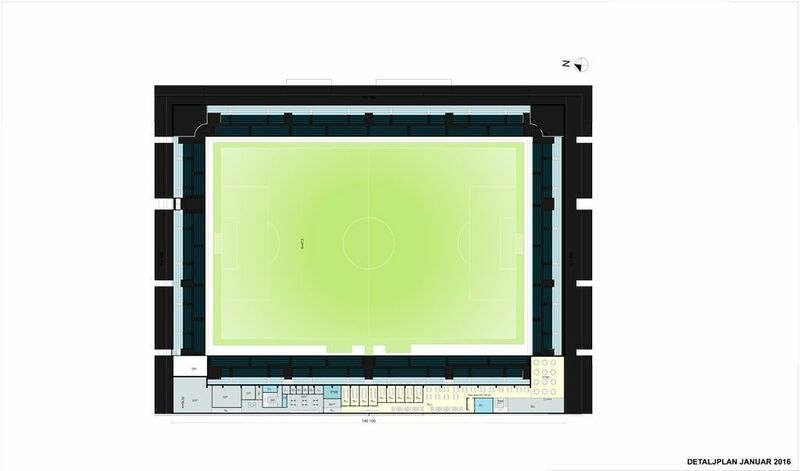 Designed by Plank Arkitekter, the ground will have over 7,500 seats in its initial configuration and over 2,000 possible to add within the created bowl when promotion to Tippeligaen increases demand. 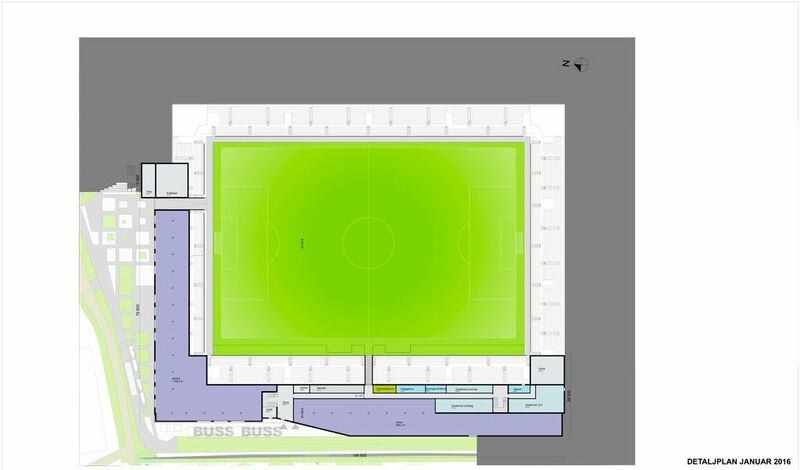 Because the stadium is to be set on mixed-height ground, its seating will be partly sunken. 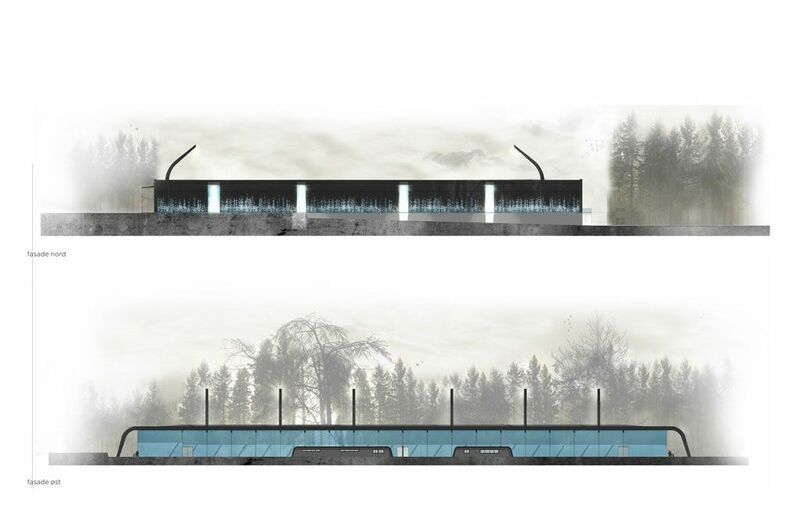 This way the roof will be built at only 8.5m and will easily “hide” between local trees. 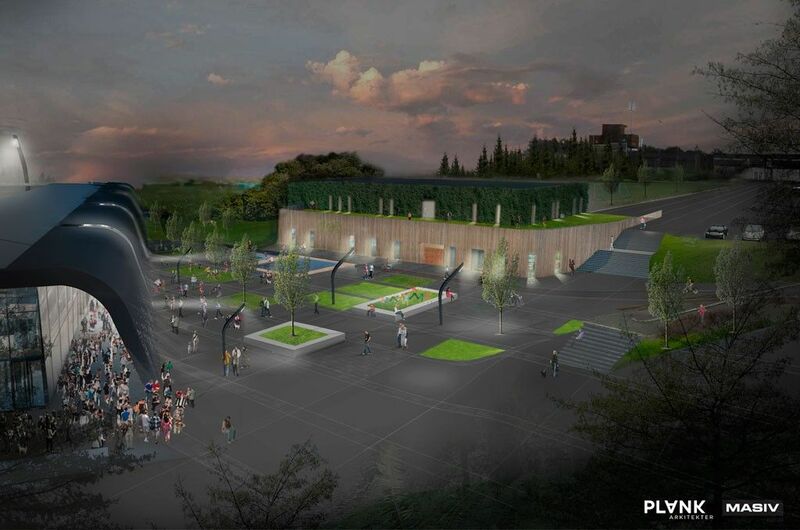 It’s also an effort not to build a venue too imposing for residents of local low-rise housing. 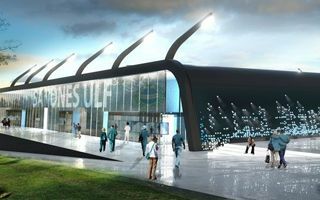 Only the floodlight masts would change things for evening games or concerts, but this would still be roughly once every two weeks. 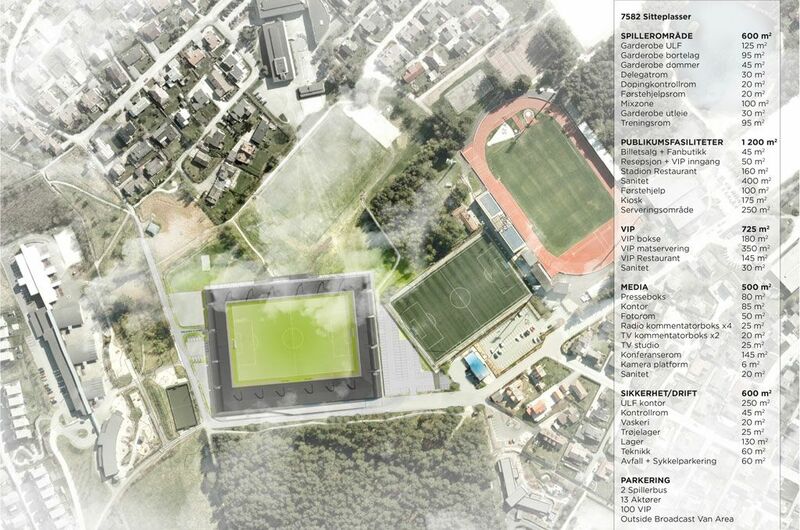 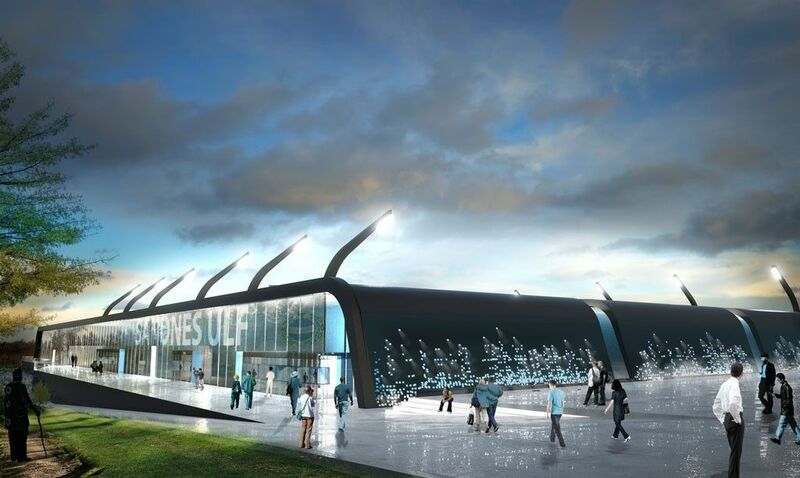 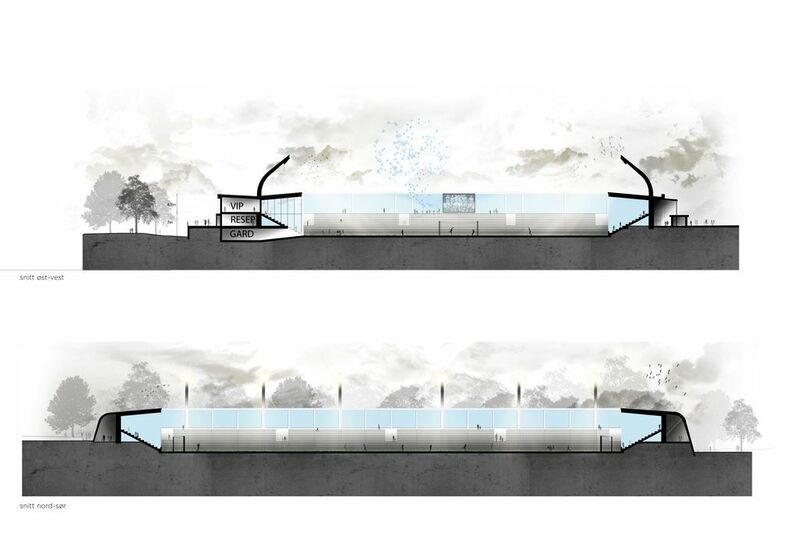 Sandnes Ulf may be only in the 2nd tier of Norwegian football, but their stadium plan is indeed impressive. 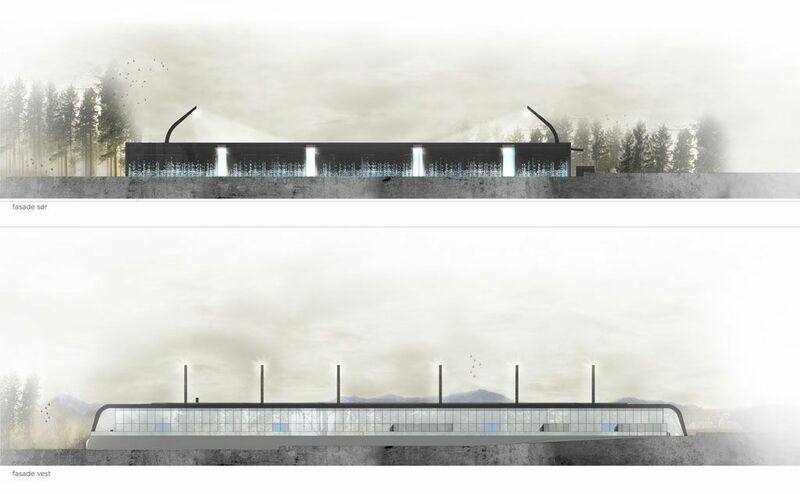 One major issue is whether they can in fact pull it off.